This free graphing calculator allows students to create a free account to save all of their graphs, animations, and projects created. 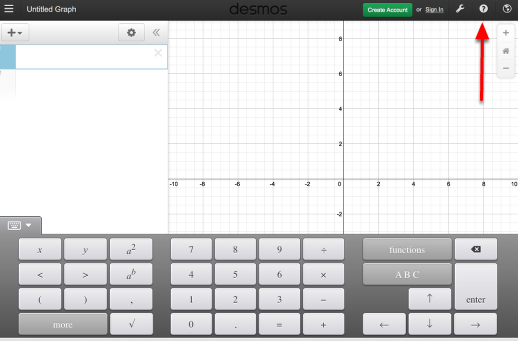 Click on the "Desmos Graphing Calculator" link below. 1. Click on all of the buttons. Try it out! For extra help, click the "?". 3. The interactive tours will NOT let you make a mistake! Try the links above! 4. Need additional help? Watch these very short excellent videos! 5. 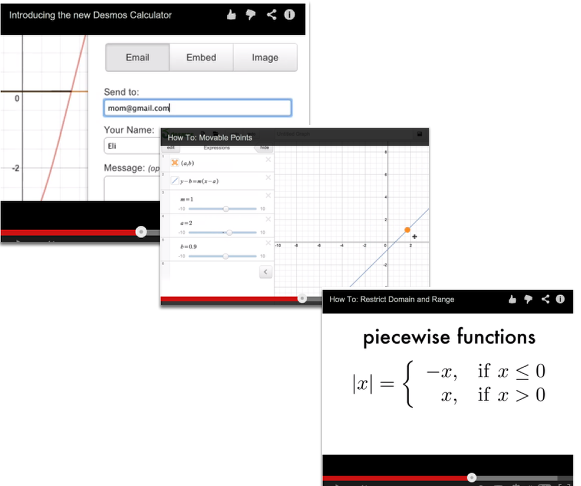 The video links will help you with many of your graphing projects! 6. If you still need help, check out Desmos "Knowledge Base"